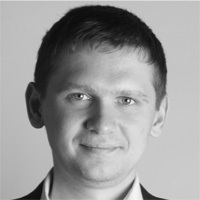 Yevgen holds an MBA degree with distinction from INSEAD (Singapore and France). He studied Mathematics & Economics at Wolfgang Goethe University (Germany), Brandenburg Technical University (Germany) and Dnepropetrovsk National University (Ukraine). Yevgen is fluent in English, German, Russian and Ukrainian and speaks conversational Spanish.